"Millis and Main is home to brand-new apartment homes in Jamestown, NC. Centrally located between Greensboro and High Point, this new luxury apartment community makes it easy to commute to either city. Whether you are living on your own, with friends, or with family, Millis and Main has floor plans available to fit the lifestyle and needs of each resident. We offer one-, two-, and three-bedroom apartment homes for rent. At Millis and Main, it's easy for you to get as much or as little space as you need! 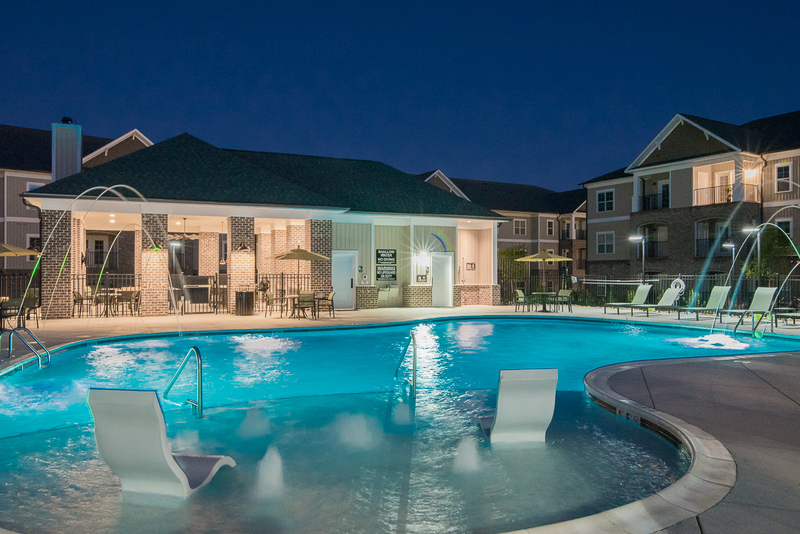 In addition to the fabulous features in each apartment unit, Millis and Main also offers an impressive list of community amenities including a swimming pool, outdoor kitchen, fitness center, business center, car care wash area, and more. Millis and Main was just voted Best Apartment Community in the Triad Area! We strive every day to leave our residents and prospective residents better than we found them!"